NES Chip 'n Dale: Rescue Rangers (USA) "2 players" in 09:25.73 by dragonxyk. This run illustrates very well the advantage of using two-player mode. 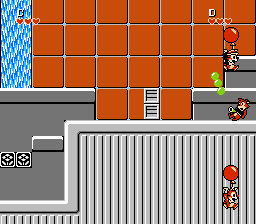 Much faster than the single-player version, Chip and Dale carry each other, throw each other, abuse balloons and zip as they once again go after Fat Cat. The improvement by dragonxyk comes now with Chip and Dale zipping on each other.